De Montfort University (DMU) in Leicester is ranked among the world’s 150 best young universities by the Times Higher Education magazine, and rated number one for graduate employability, and in the top three for teaching excellence, in the UK. Even with this stellar reputation, it has to compete hard to attract students. 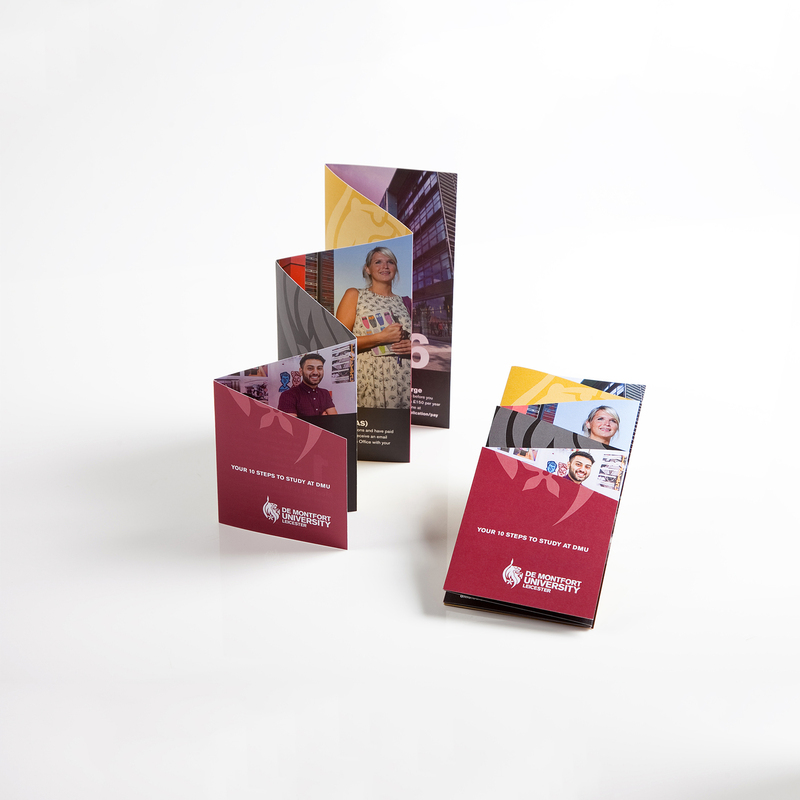 Our latest project for DMU is its new Ten Step Flyer – a bespoke 10-page foldout mailer to prospective students, setting out the university’s features and benefits in a clear, appealing format. We’re great believers in the power of print, even in this online age, and gave this piece weight and production values to reflect the quality of DMU and its offer.